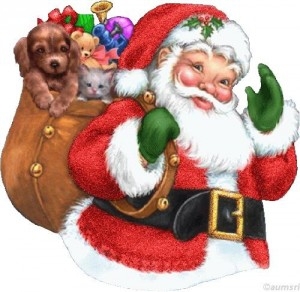 Rick's Pocono Blog: Santa Clause Visits Arrowhead Lakes! Da Drama Club's performance of "The Littlest Christmas Tree"
8:30am-11:30am at the Clubhouse at Arrowhead Lakes! Arrowhead Lakes Community is a private and gated pristine lake community in the tiny town of Pocono Lake, PA! The community amenities seem endless! 2 Large Lakes ( 260 Acre & 90 Acre ), 4 Beaches, 3 Heated Swimming Pools, 7 Tennis Courts, 5 Boat Launches, 2 Sets of Basketball Courts, Volleyball Court, Horseshoe Pits. There are picnic facilities at all pools and beaches with tables and grills. Just bring your charcoal and food and spend the entire day at the pool or beach! There is a fitness room and billiards room available to all homeowners as well as computer stations and share library all encompassed in the New Member Services Building! A New Community Lodge is Under Construction as of August 2010. The community is patrolled by security 24 hours a day and 7 days a week. Garbage is picked up once a week curbside. You can expect to see the likes of all kinds of wildlife in this community. Whitetail Deer, Turkey’s, Chipmunks, Bear, Turtles, Foxes, Owls, Woodpeckers, etc…. You Get The Idea!!!!! This community borders Bradys Lake State Gamelands and the community offers its own entrance to these gamelands for homeowners and their guests. Bradys Lake State Gamelands is a pristine 21,000 acre span of gamelands complete with its own lake and recreation area. Arrowhead Lakes is one of the most Amenity Rich Communities in the Pocono Mountains and you and your family will love it for sure!